Advanced surface shaders (hss,uber1,uber2) don't inherently lengthen render time. The added render times come from SSS, translucence but that is fairly minimal in 4.5 based on my recent render times testing shaders that use sss and translucence. Things like raytraced reflection add render time with even the basic DAZ shader. Other things like blurred reflection will dramatically increase render times as well. I remember reading something about that in the 3Delight docs...but can't find it. It was something to the effect that 0 actually equals OFF...because you need at least 1 bounce for it to work. how about refraction ? is that also increasing time ? and is there a difference in render time when it comes to using Victoria 4.2 and Genesis? is one more faster than the other? And Genesis is slightly faster..at 'base' resolution, because its got a lower polygon count. this is was what I was thinking to. most I found were only for Victoria 4. I'm a little lost, all the lighting, Uber, Rendering info works no matter which Figure you load. It's just a mesh with a texture, the other info is controlled my the 3Delight Render engine. All Tut's for those apply to all meshes. Same stuff different mesh. Base is the un-subdivided from so it will not bend as smooth, like some game figures. I want High quality not lower. you probably right, but if you are new to all this world of 3d and not so use to and familiar to what witch function is doing or how it's acting . than if the tut's were at least on Gen was were easy to start with . I think I'm looking for this balance in my case on how to make things looks better than bad and faster than slower . Actually it does increase render times. Anything that the computer is having to do more complex calculation times takes longer because it has to "think" think about it. Refraction is how the light waves bend through a material so that has to be calculate. SSS is the way light bounces around inside an object so it also requires extra calculations. Translucence is light passing through an object. In general it doesn't increase render times dramatically. The same for adding vevlet. It adds very minor calculation time because it isn't as complex to render. Fresnel is another that will add some render time. It calculates a sort of gloss/reflection based on angle (very simplified explanation). Of all of those refraction and reflection are the ones that seem to add the most time to renders because the computer has to do more calculations to sort out what should be showing. How much time they add depends on how high you have the settings. A reflection setting of 5 will hardly raise render time at all where 100 will add a noticeable amount of time. How much time refraction will add depends on how much your seeing behind/through the object as well as how high the refraction setting is. I've spent the last couple of weeks working on shader sets that have a fair bit of SSS and translucence. Those setting render rapidly in studio 4.5. A few have minor reflection settings and often I don't notice an increase in render time. I tried a few with blurred reflection and that drove my render times up like crazy so avoid setting that more than 2 or 3 unless it is absolutely necessary. I start to get it now thank you, I was under the impression that only the fact I turn on the functions is what increasing the time. so if I for say turn On all the functions that I need but keep them on low amount like 3 in number , I will not see much increasing in the render time from I understand you say. Correct. Higher settings generally mean longer render times for anything the computer is going to have to spend extra time calculating. It doesn't do much "thinking" about a diffuse color for example or basic specularity but it will have to do a great deal of thinking if there is a raytraced reflection at 100 and 30 objects that will be reflected by the material. As a side note, transparency can add to render times even if your not using raytraced shadows or even any shadows. I remember reading something about that in the 3Delight docs...but can't find it. It was something to the effect that 0 actually equals OFF...because you need at least 1 bounce for it to work.Thanks I will check up on this toward the end of he week. 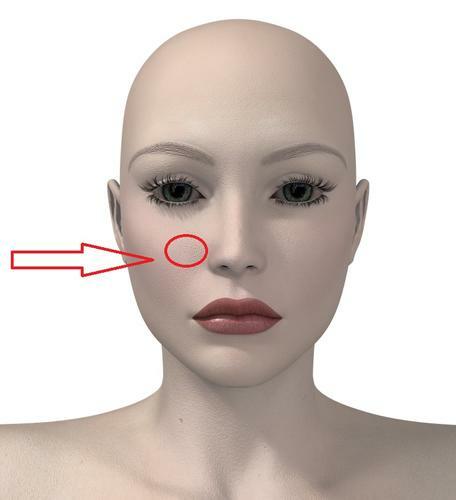 does the bump map control the little dots I see on the model skin which to my opinion make it looks more real ? and if so If I set it to a higher value I will see increase in the amount of this dots ? Yes those are caused by the bump map. Raising the value will make them more apparent. Sometimes doing that adds more realism and sometimes it makes the skin look like sandpaper. It depends on how close or far away the camera is and how good the bump map is.